While your immune system is normally very effective on its own, it is possible for it to fail at its job sometimes. When this happens, a germ is able to successfully invade your body and make you sick. But is it possible to somehow strengthen your immune system and prevent this from happening? The idea of “boosting” the immune system is a popular one, and there are numerous products that claim to be able to do just that by simply taking a pill. However, according to recent research, these products really are too good to be true. While “boosting” your immune system by taking a supplement or vitamin may not be possible, it is possible to make your immune system stronger by making certain lifestyle changes. Though these changes may not be as easy as taking a pill once a day, they will be much more effective. While no foods are able to magically fend off the disease, there are certain nutrients that are important for helping your body to be as healthy as possible—which reduces your risk of contracting certain bacterial and viral infections. Here are some changes you can make to your diet to make sure you are getting all of the nutrients your immune system needs to do its best work. Eat lean protein: Antibodies that help to fight diseases in your body are actually made of proteins. Additionally, many of the foods that are high in protein will also contain other immune-boosting nutrients. This can include lean cuts of beef and pork, as well as beans, soy, seafood, and nuts such as almonds and cashews. Eat 5 cups of fruits and vegetables per day: While any fruits and vegetables are good, choosing ones that are high in vitamins A, C, and E are the best. This includes dark leafy greens, citrus fruits, broccoli, and nuts. The nutrients you gain from these will help your white blood cells to fight off infections more effectively. Limit your alcohol intake: While one or two drinks per day is fine, drinking excessively can actually suppress your immune system. This is because alcohol is toxic to your immune system cells, which makes you more vulnerable to viruses such as the cold and flu. Getting at least 20 to 30 minutes of physical activity per day will strengthen the defenses of your immune system, because it gets your antibodies and white blood cells circulating faster. However, keep your workout activities moderate, as high-intensity activities can actually decrease the amount of white blood cells that are circulating and increase your risk for illness. It is recommended that the average adult gets seven to nine hours of sleep per night in order to maintain good health. Make sure that you are getting no more or less than this amount to ensure that your immune system is running exactly as it should be. 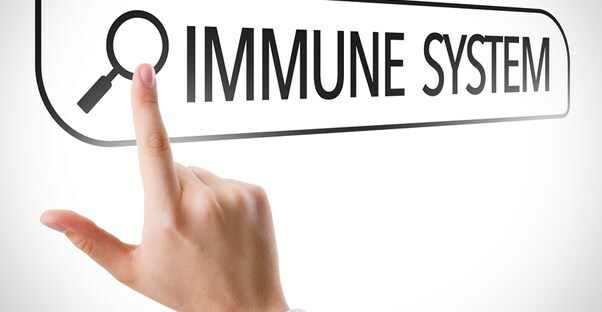 Finally, the only scientifically proven way to better equip your immune system against certain illnesses is to make sure that you are currently up to date on all vaccinations that are recommended for your age and location.